Blush Paperie: Win a Custom Self Inking Stamp! 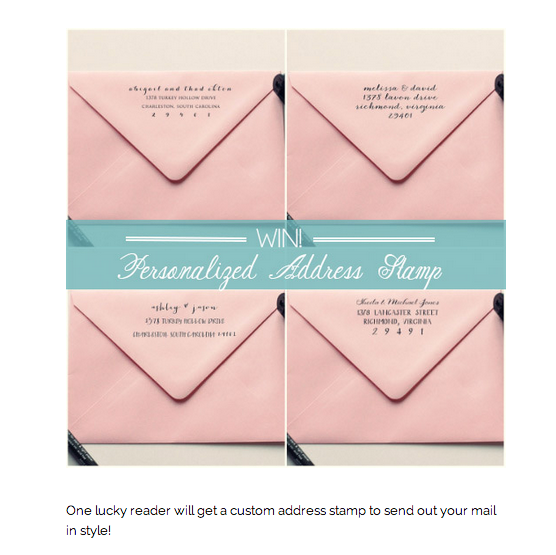 Win a Custom Self Inking Stamp! We've teamed up with the sweet as pie Mary from Lemon Grove Blog to give away one of our awesome return address stamps! It's no surprise these guys have been so popular, they make sending & receiving snail mail even more fun. And while you are there, check out all her great posts on the awesome updates her & her hubs are doing to their home. She also has tons of great inspiration photos on home decor (my fav).